Metal There are 62 products. Slide Fit Tube Selection Pack - 1mm, 2mm & 3mm Brass TubeIncludes 1 piece of each. Slide Fit Tube Selection Pack - 1.1mm, 1.3mm, 1.5mm & 1.7mm Brass TubeIncludes 1 piece of each. Slide Fit Tube Selection Pack - 1.2mm, 1.4mm, 1.6mm & 1.8mm Brass TubeIncludes 1 piece of each. 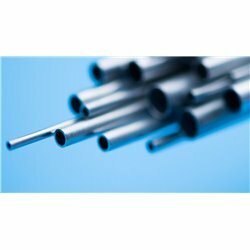 Slide Fit Tube Selection Pack - 0.3mm, 0.5mm & 0.7mm Nickel Silver TubeIncludes 1 piece of each. Slide Fit Tube Selection Pack - 0.4mm, 0.6mm & 0.8mm Nickel Silver TubeIncludes 1 piece of each. Slide Fit Tube Selection Pack - 0.3mm, 0.5mm, 0.7mm & 0.9mm Aluminium TubeIncludes 1 piece of each. Slide Fit Tube Selection Pack - 0.4mm, 0.6mm, 0.8mm & 1.0mm Aluminium TubeIncludes 1 piece of each. Slide Fit Tube Selection Pack - 0.3mm, 0.5mm, 0.7mm & 0.9mm Brass TubeIncludes 1 piece of each. Slide Fit Tube Selection Pack - 4mm, 5mm & 6mm Brass TubeIncludes 1 piece of each. 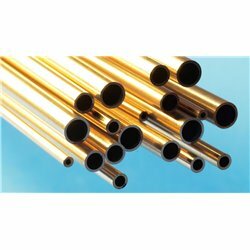 Slide Fit Tube Selection Pack - 0.4mm, 0.6mm, 0.8mm & 1.0mm Brass TubeIncludes 1 piece of each. 3mm X 6mm X 3mm Brass I Beam. 3mm X 6mm X 3mm Brass I Beam. 12" Length. 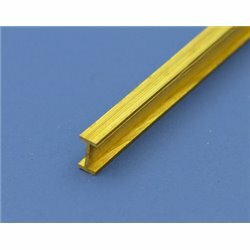 1mm X 2mm X 1mm Brass I Beam 12" Length.